To set up a proper fence, the pros start with measuring the area of the fence line and calculating material needs. There are a lot of materials involved including hardware for attaching boards and gates, lumber including corner posts and line posts, and concrete mix. They bring all those materials to your property to do the job, saving you multiple trips to the store. Most do-it-yourself jobs also take vastly longer to complete as compared with professional timeframes, so a professional installer would also keep you from having to store materials somewhere on your property for the duration of a lengthy do-it-yourself job. 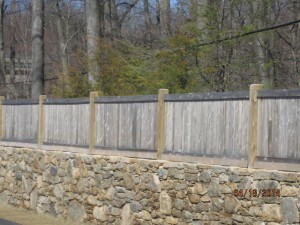 The actual labor for fence installation is complex. Professionals need special tools to clear trees and shrubs from the path of the fence. Power augers help dig all those holes more quickly than a lone homeowner could. Pros have experience and skill in setting important corner posts and line posts, making them plumb for before setting in concrete. Once posts are set, the rails are established and each individual vertical board is attached with hardware. Finally, gates are added to your specifications. 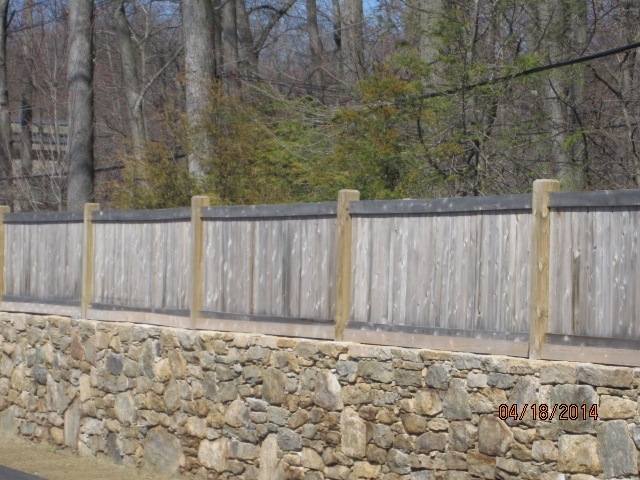 Fence installation professionals focus solely on building fences and are efficient, completing the project much faster and with greater quality than even the most able homeowner could. It’s clear that putting up your own fence would take expensive specialized tools and hardware and require more than one person to do it right.